Our white triple toggle switch is such a cool way to turn your lights on and off… Toggles were just made to be flicked up and down – why would you have anything else. This switch adds a stunning retro twist to any interior, making it the perfect lighting accessory for any minimalist home. A feature that will elevate your interiors from standard to high end in an instant. Our toggle light switch 3 toggle white is a triple toggle switch with a white satin finish plate and contrasting toggles. It’s fittings are totally concealed for a streamline finish, and it’s LED compatible. Winner. 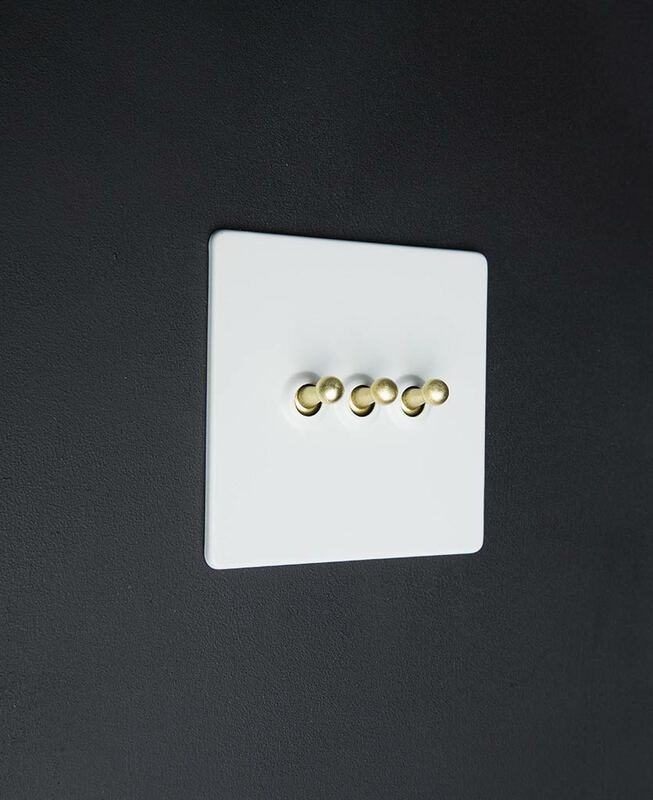 Add a touch of kingly opulence to your interiors with these designer light switches. Perfect if you’ve got a contemporary styled home that needs a restrained industrial touch to toughen it up a little… There’s nothing quite like the inclusion of a metallic gold accent or accessory here and there to glam things up. We love this clean and contemporary triple toggle switch. 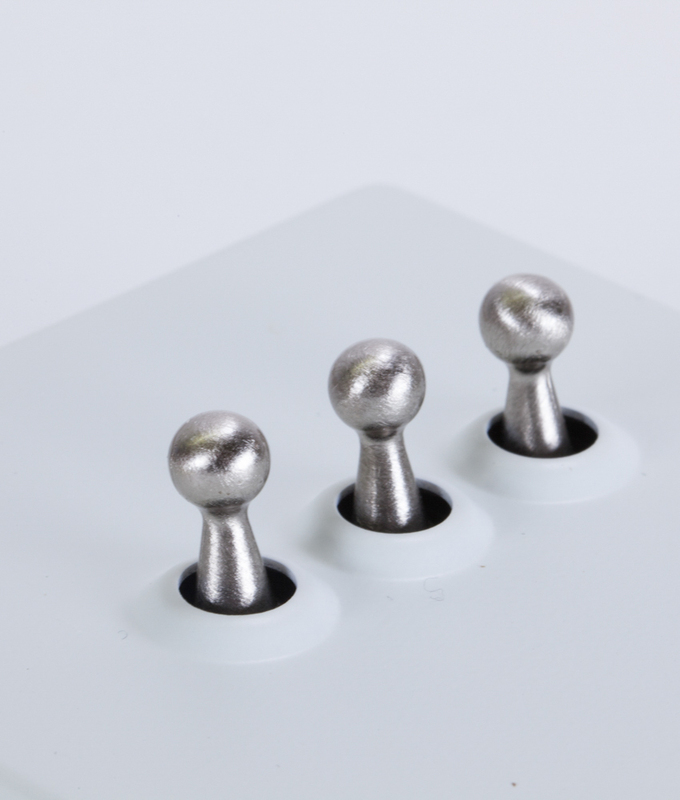 It blends in beautifully with white walls – the luxurious toggles standing out against the white satin backplate. Our white switches look amazing in a minimalist space. 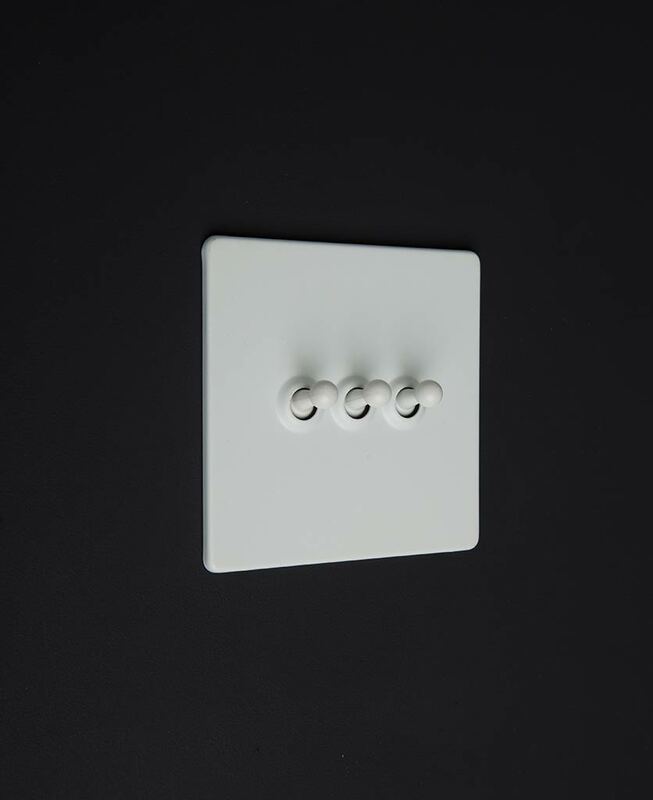 This toggle is part of our white designer switches range. 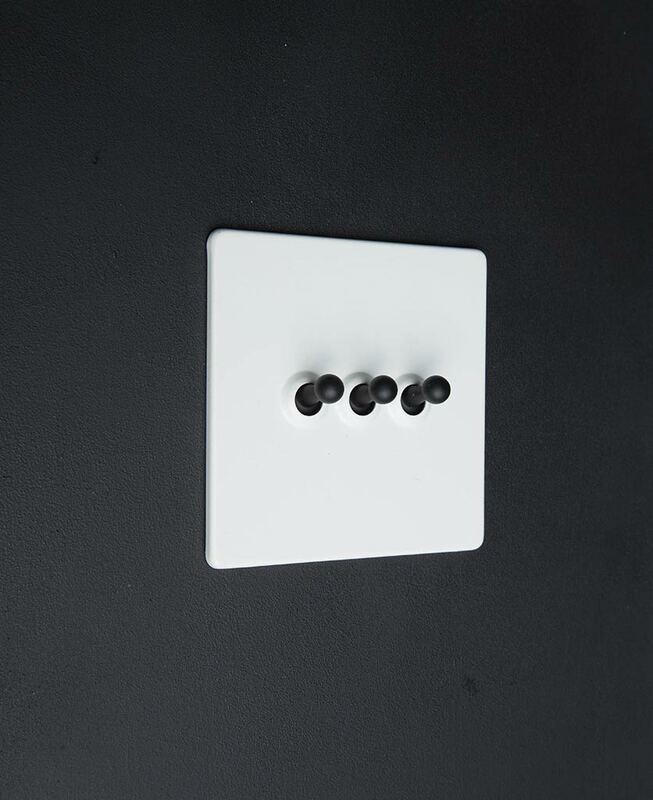 A collection of switches, dimmers and sockets designed by us, to complement your industrial style home perfectly. 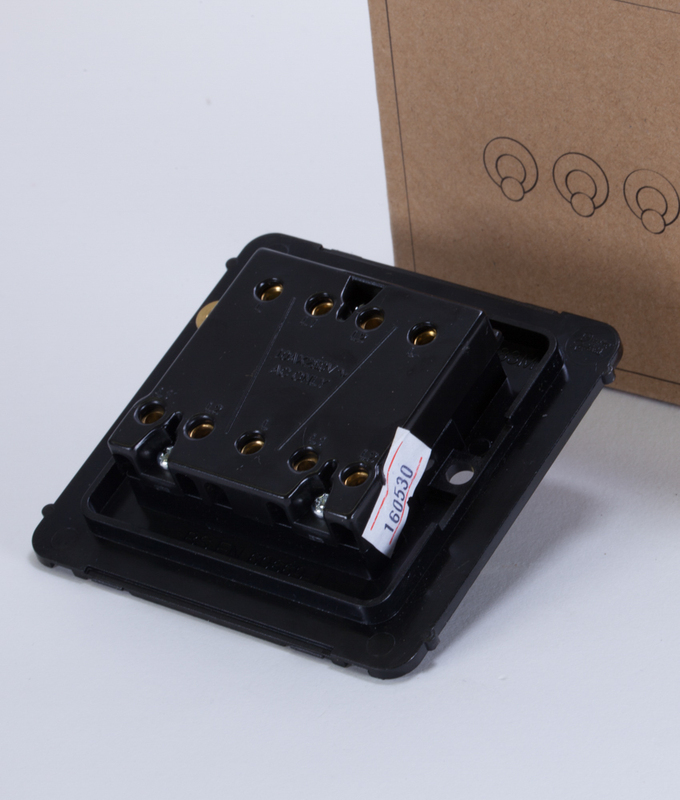 We’re continually expanding our range to make sure you’ve got every variation of plug or switch you need to go through your whole interior upgrading from the standard white plastic versions. We’ve recently added fused spur switches, cooker switches and triple dimmers and there’s more on the way! Have a read of our guide light switches explained to find out the difference between 1, 2 & 3 gang plus when to use 1 way, 2 way and intermediate switches.